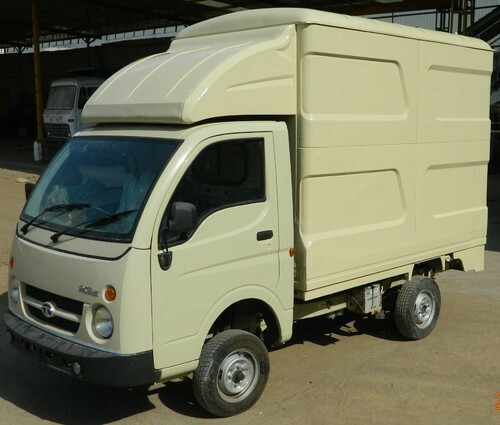 Leading Manufacturer of container, truck containers body, air cooled transporting system, transport containers body, tata ace container and special enclosed container from Nashik. 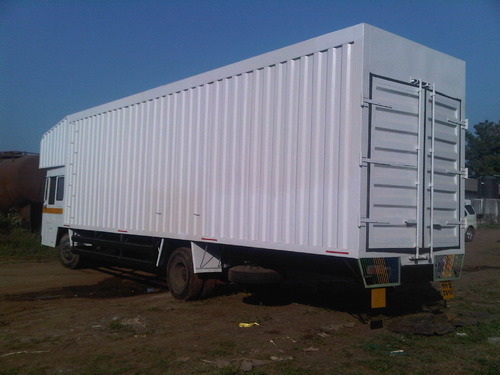 We are offering a heavy duty container body. these products have been manufactured from many yers with high quality standards and specified norms. A well-designed container will axhibit ease of use, that is it is easy for the worker to open or close, to insert and extract the content. We are offering the container with affordable market prices. 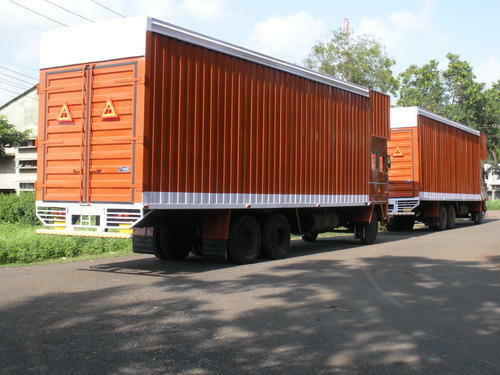 Our organization has gained much credibility by manufacturing and supplying Truck Containers Body. With an excellent mechanism it holds non comparative quality and performance graph. The product is designed using supreme quality material sourced by our vendors, advanced technology and has excellent finish. Our innovative and economic schemes make us one of the leading organizations. Spotted as a recognized firm, we offer Air Cooled Transporting System. 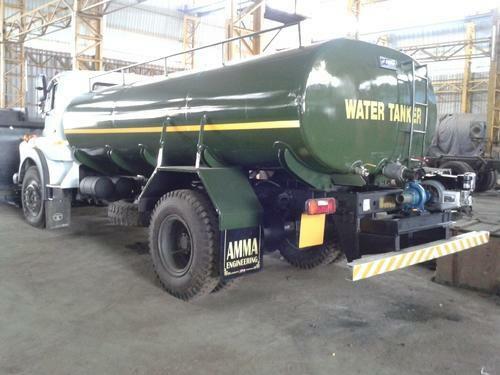 Our range is provided in different specifications that meets the individual requirement of our clients. These are well known for high quality and performance. We also make sure that our range is free from any kind of defects and ideal for wide applications. Our habit of not compromising with quality ensures the trust of our clients on us. In compliance with set industrial norms, we manufacture the product in variety of specifications for our valuable clients. 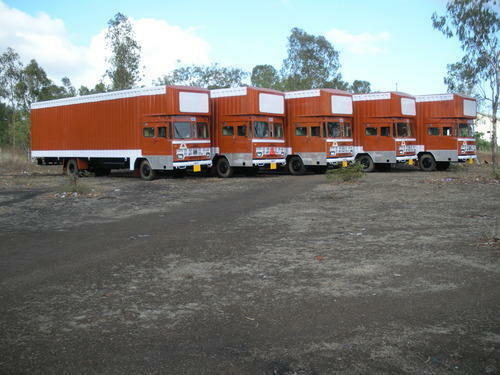 For the loading of heavy vehicles we offer Transport Containers Body. The offered range is precision engineered and is manufactured using the finest grade raw material and advanced technology. These are well-known among clients for their robust construction, durability, corrosion resistance and excellent finish. In addition to this, our quality controllers conduct series of tests on various quality parameters to ensure their flawlessness. 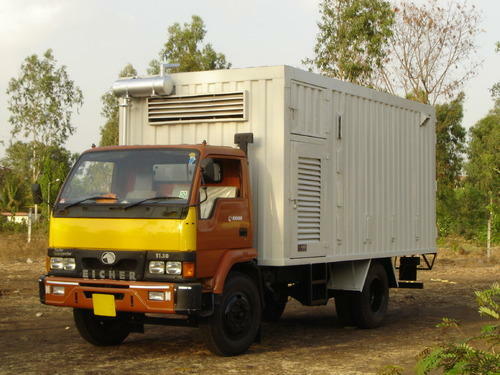 We are a recognized manufacturers and suppliers of TATA Ace Container. Abrasion resistant materials are used to design the product. Our professionals strictly checks the maintenance and functioning of the machine before delivering it to our clients. Our company has earned accolades in offering Special Enclosed Container to the clients. 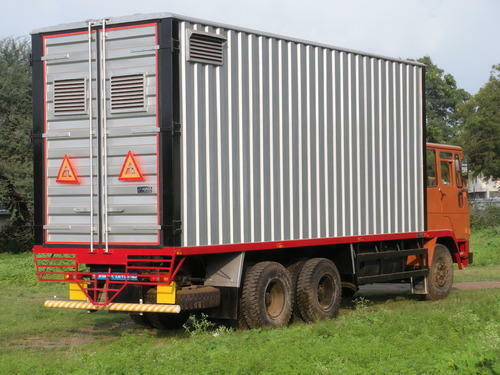 Special Enclosed Container is designed by skilled professionals according to industrial norms, using quality tested basic material at well developed production unit. Offered range can be avail in diverse specifications to meet the demands of clientele in an effective manner. 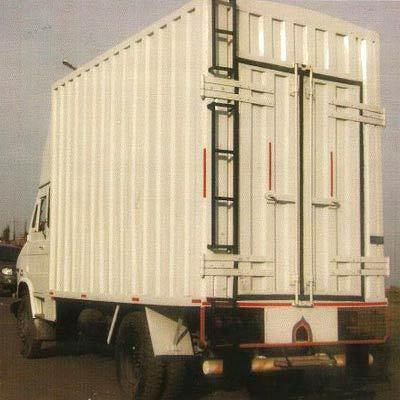 Big Container offered can be made available by us in different finish options including heights, widths and lengths as well as different sheet metal thicknesses as demanded by the customers. Further, these containers come approved by ABS, BV and other certifications as well as meet the requirement of ISO standards. 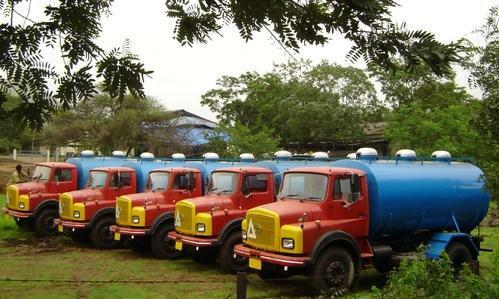 We are offering Water Tanker to our clients. We provide high-quality products to our customers.